Are you AWARE that there are such things going on ? Are you AWARE on what you can do to help making a difference ?? Ask again, after watching this video. "The best is to be happy and healthy and to get on with life." 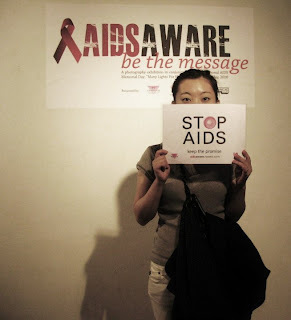 We do not see cases of HIV being reported everyday in the newspaper, in fact i doubt you can really see it once a week. Most of us choose to be ignorant about HIV/AIDS than addressing these issues. 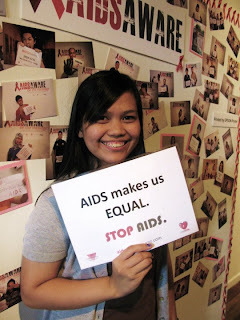 How far are you equipped with HIV/AIDS knowledge in protecting yourself and your partner? 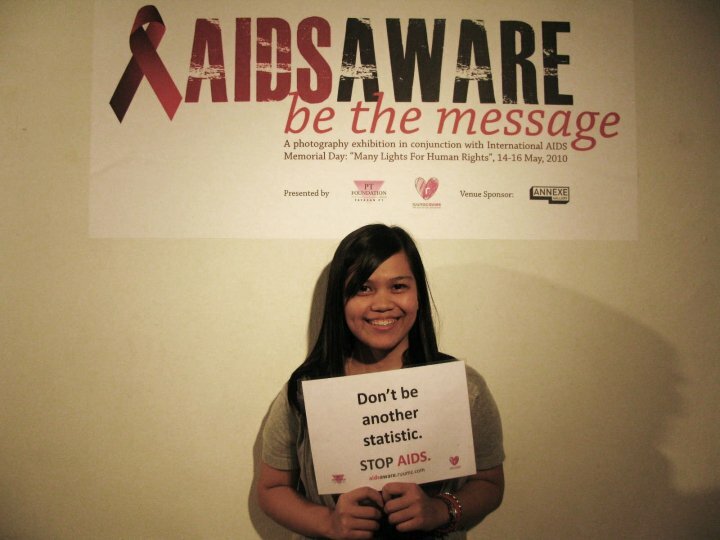 do you know who to reach should you or your friend being infected with HIV ? Here we are, the Red Agents in Nilai College. 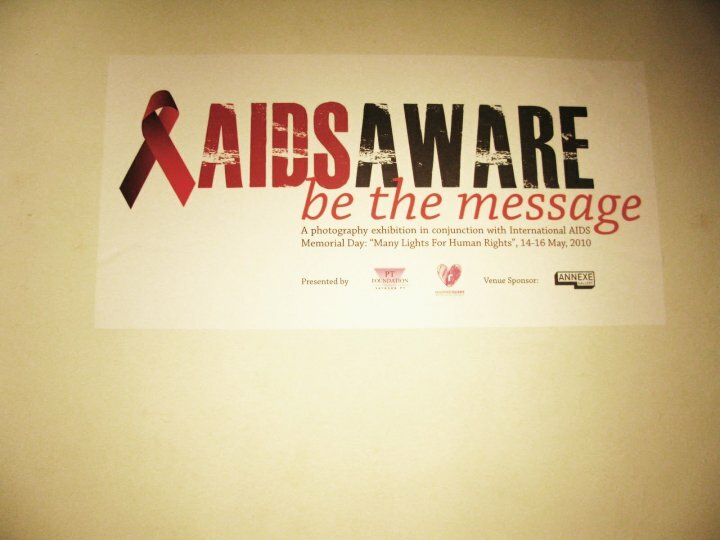 on behalf of the Red Project, I would like to thank Nilai College and the students for giving us so much support and invited us to conduct an HIV/AIDS workshop in conjunction of the Ribbon Week. Thank you Miss adeline and Miss Daphne for providing us the facilities and refreshments for the workshop. 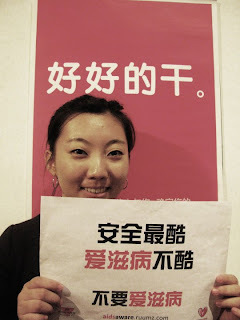 Here, i would also like to thank the students for buying our Red Agent T-shirt and supporting us endlessly. 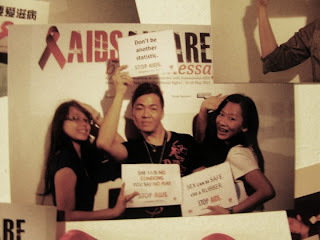 Our own international Red Agents from UKM volunteered themselves to help out PT Foundation in AIDS AWARE - be the message. Let's see what the Red Agents feel about this. 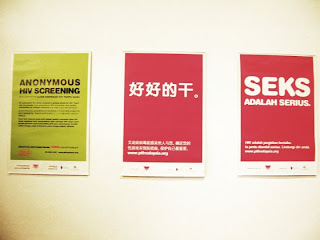 The volunteer work in PT Foundation’s gallery exhibit was a fresh perspective for me. 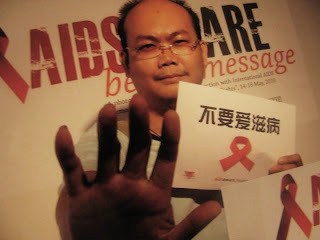 Unlike the times we worked with people who are already familiar with HIV/AIDS, this time, we had to deal and ask people who do not really have the knowledge or interest in the situation in the first place. 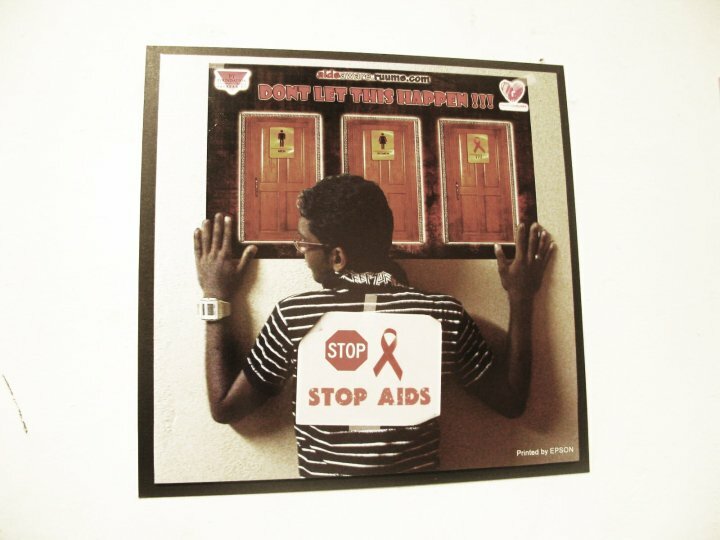 There were people who went in and just went out right away after seeing posters about AIDS. It seemed as there were some barricade between the gallery entrance and the outside world. 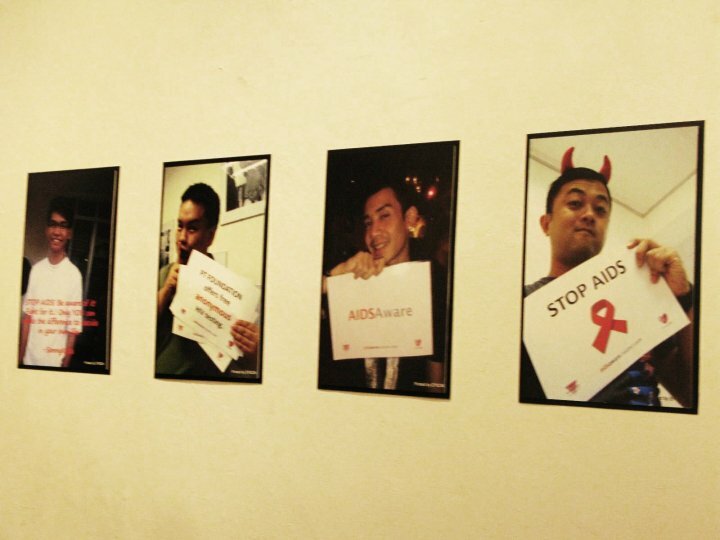 But I told myself that this is the reason why we are here holding this gallery and volunteering to work; to spread the awareness of AIDS! 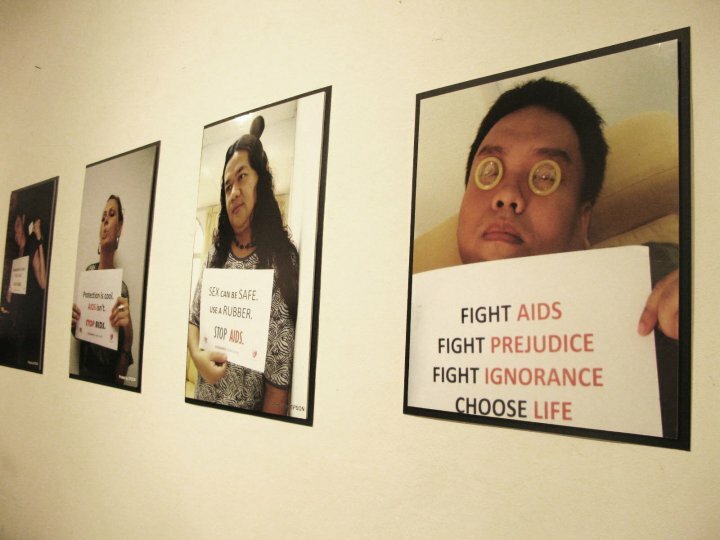 In commemoration of the AIDS Memorial Day, the gallery was opened to the public in the central market annex. Posters and pictures with people holding messages about AIDS were hung up on the walls for public to see. 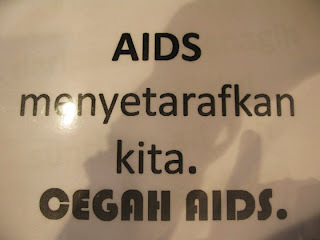 And a special event was carried out to gain support of the people and raise awareness about AIDS. 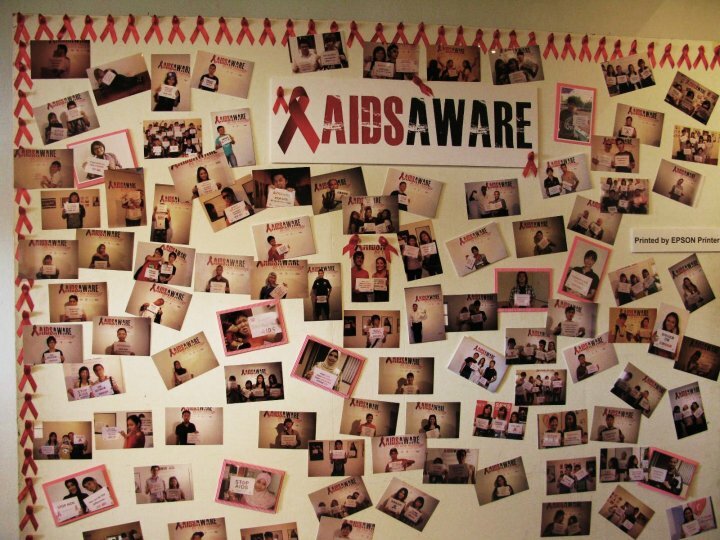 The event was to raise at least thirteen thousand pictures of people holding messages about HIV/AIDS and to post them on the wall of “HIV/AIDS AWARENESS”. It was not an easy thing to ask the people to do so. There of course were people who said yes right away but there were still people who backed away or turned down. Then a question came at me; “if I was one of the people to be asked to take a picture to support HIV/ADIS, would I have done it?” My initial answer was a no. 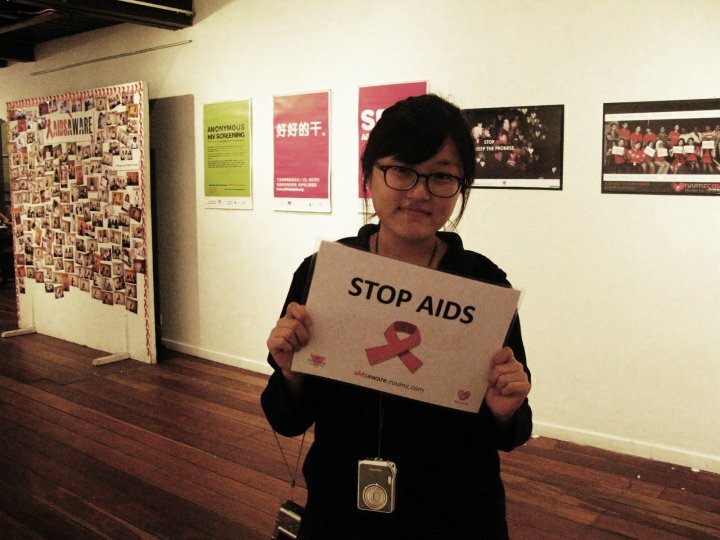 I would not have wanted to associate myself with these events or causes. 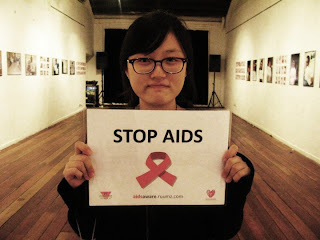 But now, after coming in to The Red Project, I found how ignorant and closed I was to these issues. I found out that I cannot expect others to support something that even I am not willing to support. There are so many people out there who are like the “past me”. 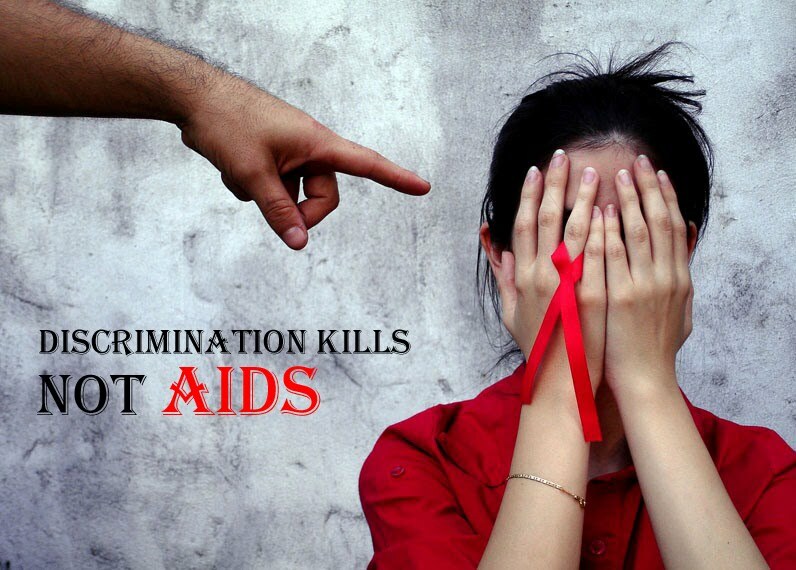 They are ignorant and just indifferent about the issue. But at the same time, there are those who support and fight for the cause, to stop the wild fire running around our community. And I am glad that I was able to get the chance to experience this and open up myself to new world! 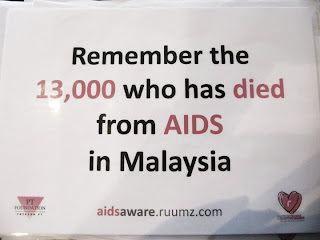 Let’s go and spread the awareness! 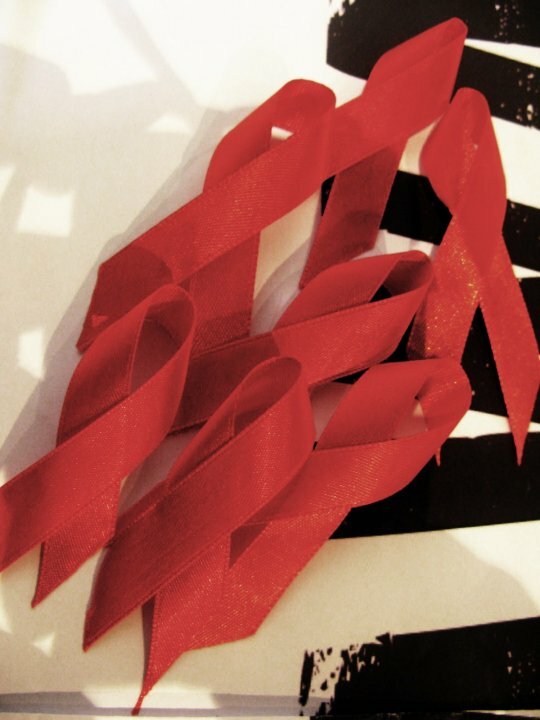 The world celebrates the International AIDS Memorial Day every third Sunday of May to commemorate those who lost the battle and those who are living and still fighting the disease. This year, Pink Triangle Foundation together with ruumz.com celebrated this event in a three-day exposition of pictures and movies at a gallery exhibit entitled AIDSAware: Be the Message at the Annexe Gallery, Central Market, May 16. It was our pleasure as Red Agents to volunteer for the event. 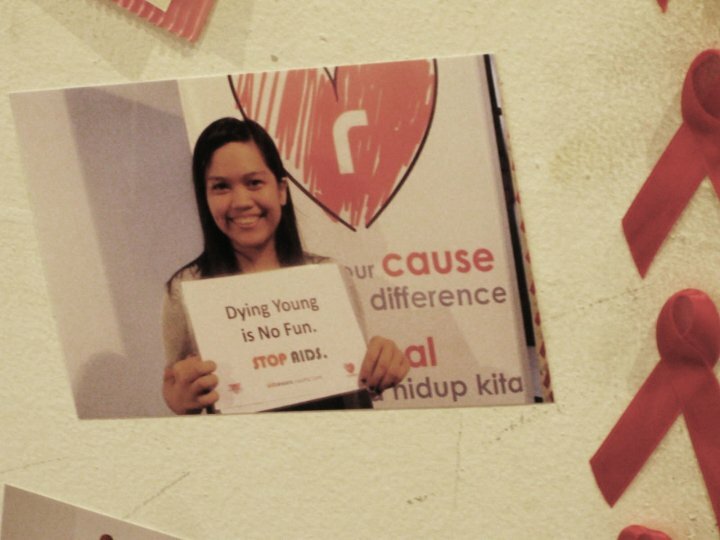 We ushered guests into the exhibit and asked them if they would like to be part of our campaign to spread the message about AIDS and to stop the disease. Their task was simple. All they had to do was pick a message that they think best suits their thoughts about AIDS and pose in front of the camera. 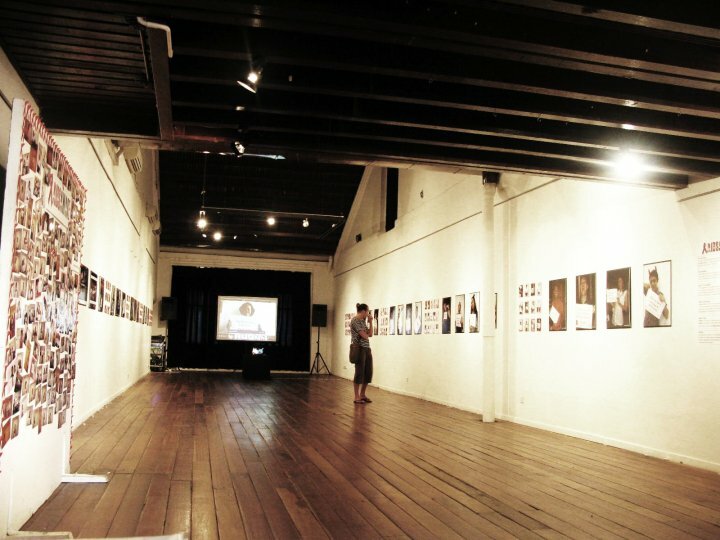 We printed out the pictures and posted them on the wall. 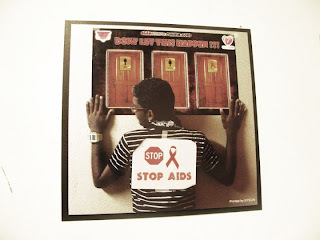 By then end of this AIDS campaign, we should have collected 13,000 pictures. 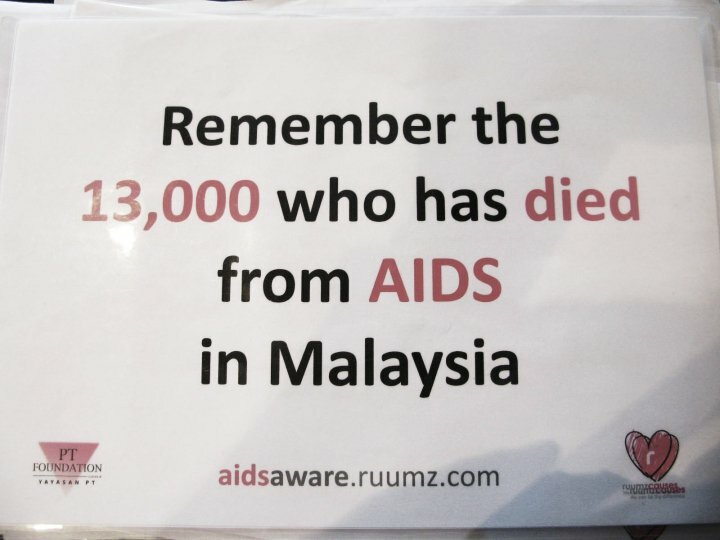 So far, there have been 13,000 Malaysians who died because of AIDS. Through these pictures, we hope to send the message to everybody that AIDS is a serious issue and it needs to be stopped. 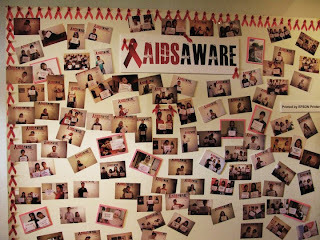 These pictures could be accessed and downloaded at aidsaware.ruumz.com. The crowd reception was great. 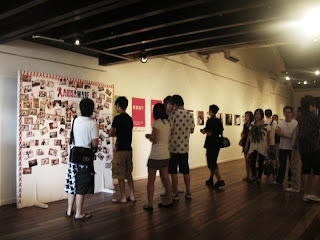 There was an ongoing bazaar just next door and a lot of young people were coming into the gallery exhibit. 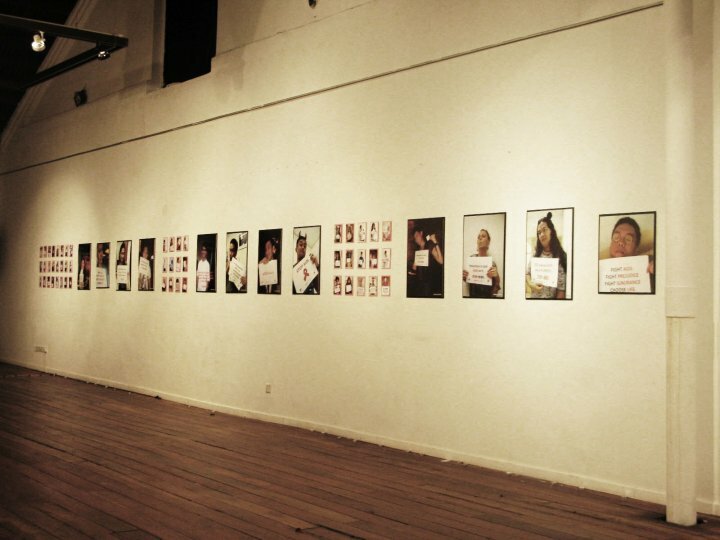 There were a variety of people coming in – different genders, different age, different races. And almost everybody had their picture taken. Some were aloof at first, but they agreed later on after knowing the cause of this exhibit. There were families who posed with their cute kids, there were groups of friends, there were couples, there were teenagers, there were babies. 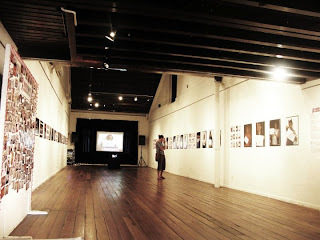 This was definitely an experience for me as it enriched my ability to approach and talk to people. One of the most important things in life is to be able to communicate and deliver your message efficiently so that others may understand. 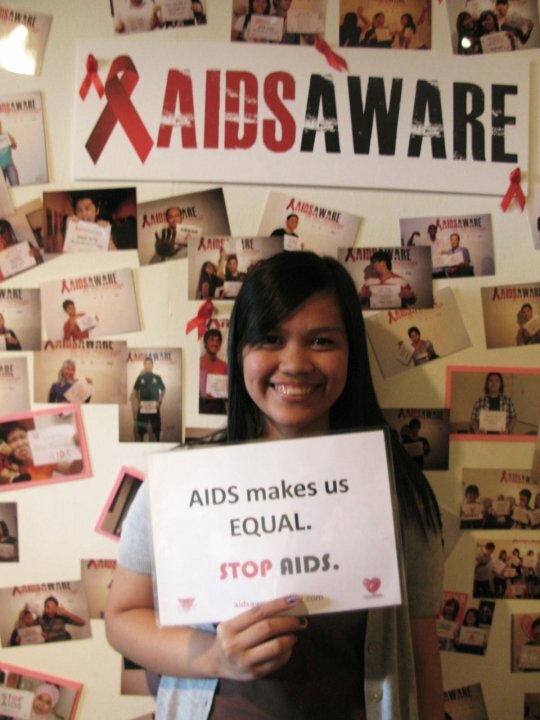 This internship has so far enabled me to develop my communication skills and at the same time educate other people about one of the world’s most pressing concerns – HIV/AIDS. 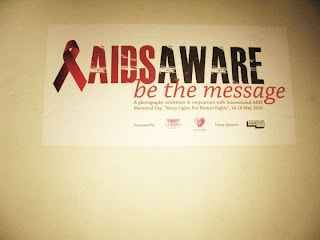 This event was a venue for me to deepen my passion for this cause and to share with other people the messages that must spread faster than AIDS. 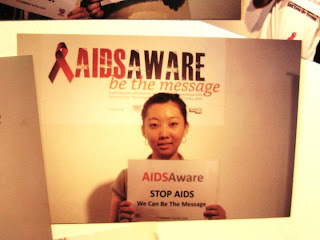 On the 15th of may, Red Agents went to Central Market to volunteer at the exhibition about AIDS. 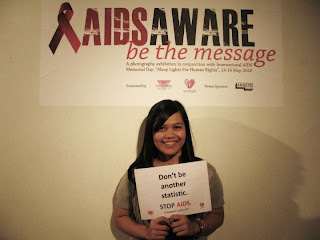 AIDSAWARE is a project to spread the awareness on HIV/AIDS and to further stop HIV by allowing each and every one of us not only to share a message and spread a message, but to be a Message itself. 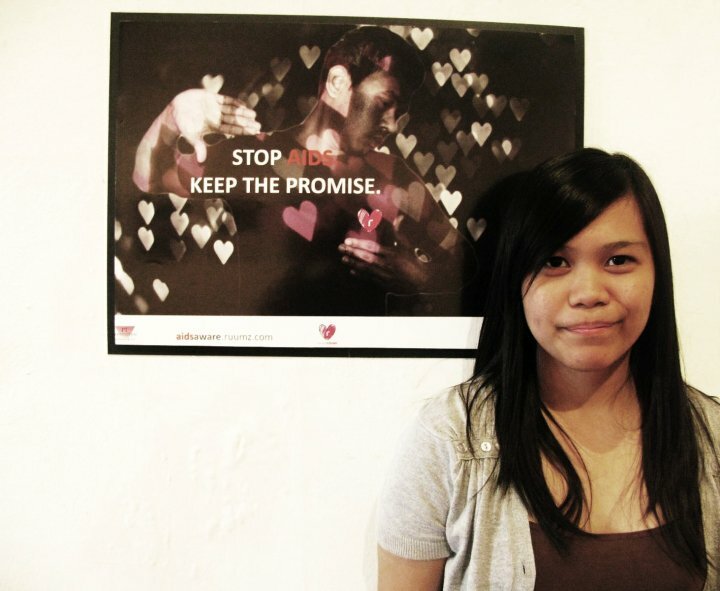 Some of the messages collected were shown at the Annexe Gallery, Central Market last May 15 and 16. 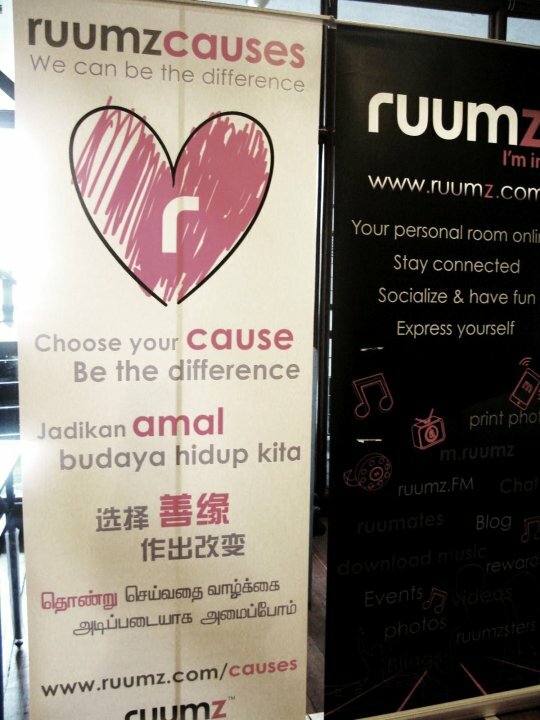 PT Foundation has joined up with Ruumz Causes to develop this campaign as part of its activity for International AIDS Memorial Day 2010 which fell on the 16th of May this year. 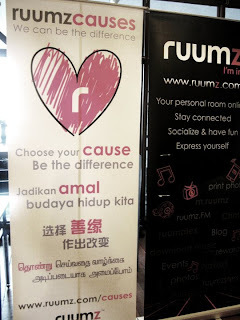 Actually we were planning to volunteer both weekdays (15th and 16th May), but the schedule was changed so we volunteered only on saturday. Our tasks are Greet guests as they walk in and Take photos of guests and stick them up on the photo wall from 4pm to 8pm. 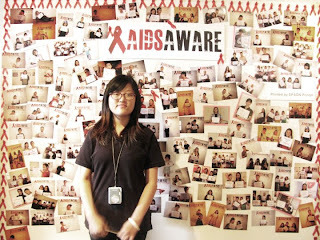 After volunteering, Red Agents in front of the photo wall! 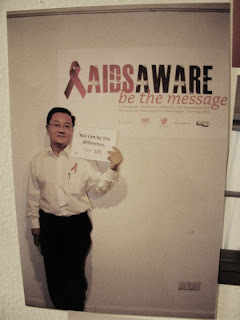 Although we had a volunteer work with PT Foundation before, the day with AIDSAWARE was more meaningful than the other days. 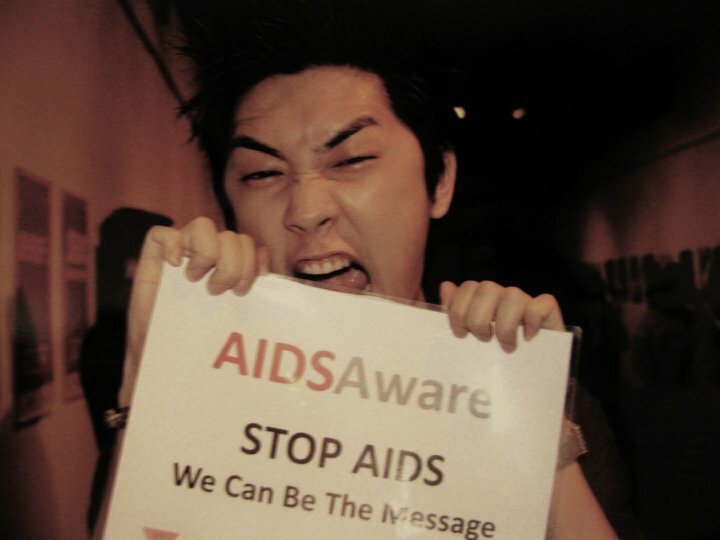 We collect a lot of pictures and it might help to increase the awareness about HIV/AIDS. The journey to the Rumah wake was mixture of emotions such as excitement, uncertainty, and little bit of fright, because this was the first time that I was actually encountering someone who is HIV positive. Human perceptions can be scary. They actually shape up the things to form a certain definitive shape even before we actually see or encounter it. 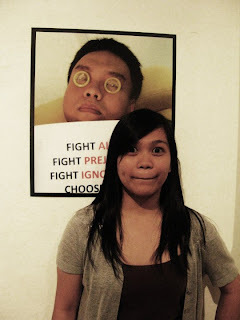 But I told myself that this trip will be one that would break my perceptions and help me to grow and mature. 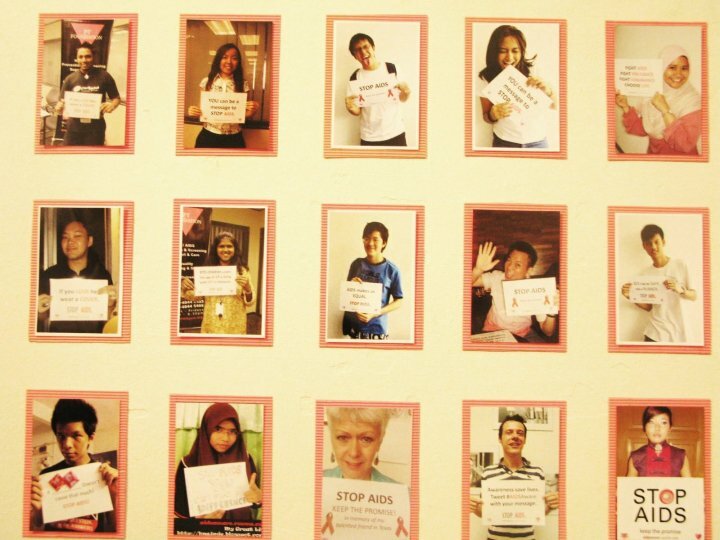 Our first destination was the women’s house, where the HIV positive women and homeless women stayed. The place itself looked weary and old. To be honest I actually thought ‘can the patients live in this condition?’ But proving my expectations wrong, the people living in the house all looked healthy and were friendly. They were just like any of us who visited the place. 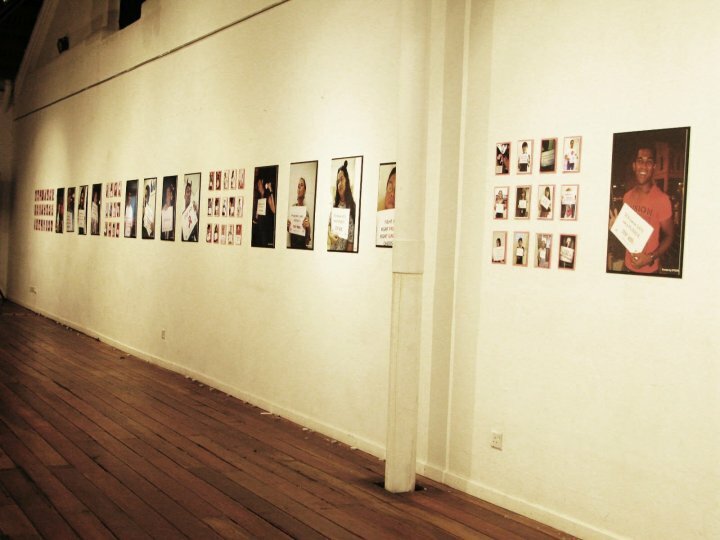 As we sat down and started talking with the women, they opened up their stories. Some had the disease for 13 years already while some were new and joined the wake not too long ago. They were provided with medicines and check-ups through the support of the government. It was an interesting experience listening to them speaking their side of the story. But at the same time, it also was also heart aching to see some abandoned by their family and having no dreams for the future. In our second destination of the transsexual house, the people there were more opened up with their experience and the current situation of the transsexuals in Malaysia. There in fact are lots of transsexuals out there who are HIV positive and it is continuously spreading. 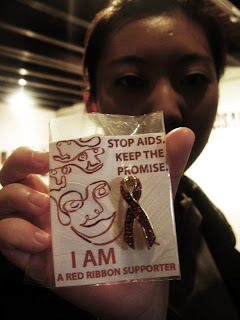 It was a scary thing to learn about, but also was a call for The Red Project team to do their job and take part in educating the people about HIV/AIDS! 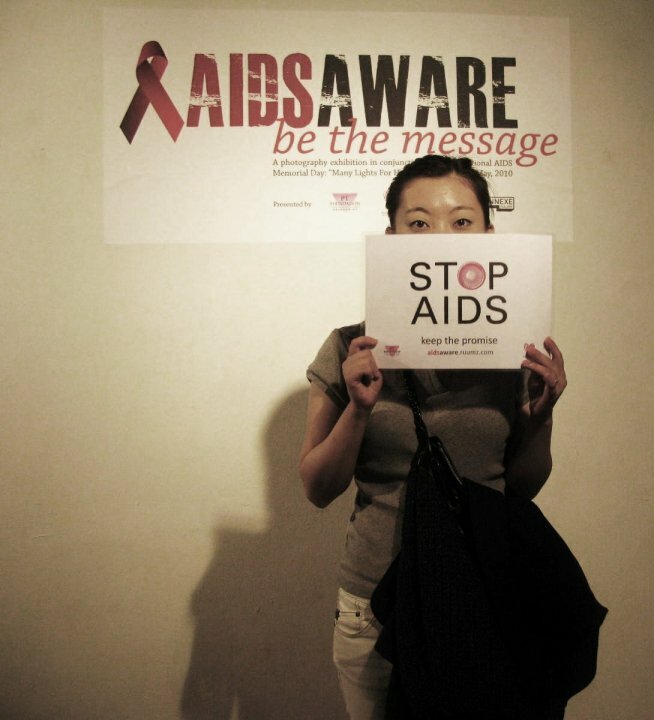 We may not know any HIV positive people around us FOR THE MOMENT. 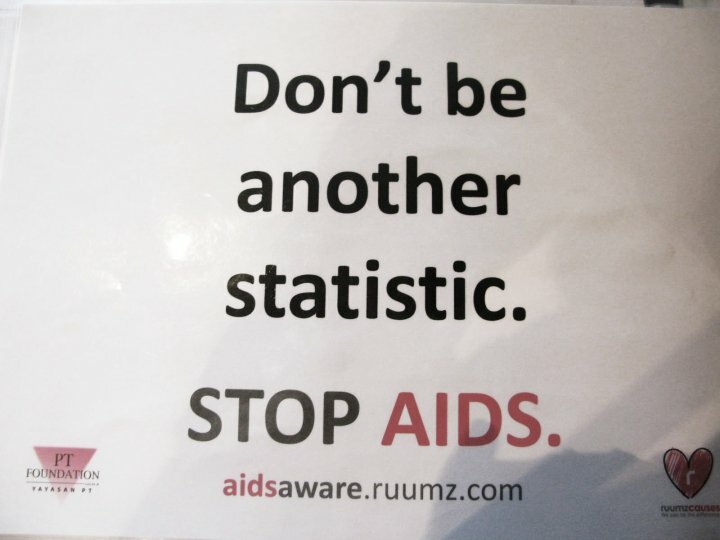 But as we always say, AIDS does not discriminate. 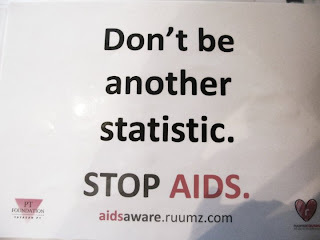 The people in the Rumah wake would not have guessed that they would one day become HIV positive and live their lives with AIDS. Thus it is really important that we could build a community that is ready to accept these people, to care for these people and treat them just like any other human being. Discrimination is what makes them more difficult. Disease itself maybe a part of it, but the eyes of the people looking down on them, ignoring them and judging them is what makes them feel the pain and give up all hopes. Hope we could contribute in building that kind of society. Start by changing ourselves! !